Chris Abani is an acclaimed novelist, poet, essayist, screenwriter, and playwright. Born in Nigeria to an Igbo father and English mother, he grew up in Afikpo, Nigeria, received a BA in English from Imo State University, Nigeria, an MA in English, Gender, and Culture from Birkbeck College, University of London, and a PhD in Literature and Creative Writing from the University of Southern California. He has resided in the United States since 2001. He is the recipient of a Guggenheim Fellowship, the PEN/Hemingway Award for Graceland, the PEN Beyond the Margins Award, the Hurston Wright Award, and a Lannan Literary Fellowship, among many honors. His work has been translated into French, Italian, Spanish, German, Swedish, Romanian, Hebrew, Macedonian, Ukrainian, Portuguese, Dutch, Bosnian, and Serbian. Abani’s many research interests include African Poetics, World Literature, 20th Century Anglophone Literature, African Presences in Medieval and Renaissance Culture, The Living Architecture of Cities, West African Music, Postcolonial and Transnational Theory, Robotics and Consciousness, Yoruba and Igbo Philosophy, and Religion. Abani is currently a Board of Trustees Professor of English at Northwestern University. He lives in Chicago. 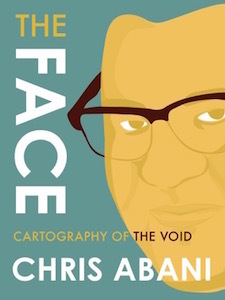 In The Face: Cartography of the Void, acclaimed poet, novelist, and screenwriter Chris Abani has given us a brief memoir that is, in the best tradition of the genre, also an exploration of the very nature of identity. Abani meditates on his own face, beginning with his early childhood that was immersed in the Igbo culture of West Africa. The Face is a lush work of art that teems with original and profound insights into the role of race, culture, and language in fashioning our sense of self. Abani’s writing is poetic, filled with stories, jokes, and reflections that draw readers into his fold; he invites them to explore their own “faces” and the experiences that have shaped them. As Abani so lovingly puts it, this extended essay contemplates “all the people who have touched my face, slapped it, punched it, kissed it, washed it, shaved it. All of that human contact must leave some trace, some of the need and anger that motivated that touch. This face is softened by it all. Made supple by all the wonder it has beheld, all the kindness, all the generosity of life. 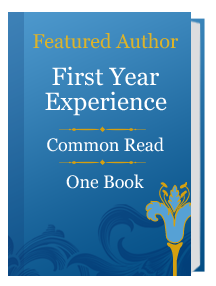 The Face is a gift to be read, re-read, shared, and treasured, from an author at the height of his artistic powers. Abani directs his gaze both inward and out toward the world around him, creating a self-portrait in which readers will also see their own faces reflected. A self-described “zealot of optimism,”poet and novelist Chris Abani bravely travels into the charged intersections of atrocity and love, politics and religion, loss and renewal. In poems of devastating beauty, he investigates complex personal history, family, and romantic love. Sanctificum, Abani’s fifth collection of poetry, is his most personal and ambitious book. Utilizing religious ritual, the Nigerian Igbo language, and reggae rhythms, Abani creates a post-racial, liturgical love song that covers the globe from Abuja to Los Angeles. Part Inferno, part Paradise Lost, and part Sunjiata epic, Song for Night is the story of a West African boy soldier’s lyrical, terrifying, yet beautiful journey through the nightmare landscape of a brutal war in search of his lost platoon. The reader is led by the voiceless protagonist who, as part of a land mine-clearing platoon, had his vocal chords cut, a move to keep these children from screaming when blown up, and thereby distracting the other minesweepers. The book is written in a ghostly voice, with each chapter headed by a line of the unique sign language these children invented. This book is unlike anything else ever written about an African war. The sprawling, swampy, cacophonous city of Lagos, Nigeria, provides the backdrop to the story of Elvis, a teenage Elvis impersonator hoping to make his way out of the ghetto. Broke, beset by floods, and beatings by his alcoholic father, and with no job opportunities in sight, Elvis is tempted by a life of crime. Thus begins his odyssey into the dangerous underworld of Lagos, guided by his friend Redemption and accompanied by a restless hybrid of voices including The King of Beggars, Sunday, Innocent and Comfort. Young Elvis, drenched in reggae and jazz, and besotted with American film heroes and images, must find his way to a GraceLand of his own. Nuanced, lyrical, and pitch perfect, Abani has created a remarkable story of a son and his father, and an examination of postcolonial Nigeria where the trappings of American culture reign supreme. BROTHER: You’re writing an essay on your face? BROTHER: [Pause.] So a short book, then? Everything in this book is true, even when the facts have been blunted by time and memory; even as I misremember, even as I misrepresent. Everything in this book is a remembrance, so none of it may be true at all. There are no easy ways to speak these words. No way to honor love and truth without something getting lost in translation. It is made even more complex when one party is dead, silent to this world. And how do you tell a story that is commonplace and felt by all without giving in to sentimentality? But the thing is that, in the end, we must decide how comfortable we are with how much we hurt other people. This essay is not just an exploration of my physical face: it is about the face we all identify with. It is about more than just what flesh covers my bone structure. It is about reflection, too. What we see or want to see in the mirror. Biologically my face is a mix of two races. of two cultures, of lineages. One white–English, perhaps a mix of Celt and Anglo-Saxons.My maternal grandmother’s lineage was Strong, first held by a family in Somerset that predate the Norman Conquest. Strong of course referred to a person who displayed those characteristics in some way–physical, mental, even by way of dress, as in dressing for strength, which might have included armor in the past, or style in the present. In the Old High German it was Streng, which is related to String. A line, a connection, lineage. On my maternal grandfather’s side, it is Hunt–from hunta, which is a hunter. They came from Shropshire and agin predate the Norman Conquest. Strong Hunt, Hunt Strong. Even interlaced across a pregnant woman’s stomach, even if the will that webs the fingers desires nothing more than to protect the unborn in her—not even this is sufficient to form a barrier against the flash of light and a cloud that grows not into a mushroom, but rather into a think tree with a dense plume; a tree to shame Odin’s, a tree to make Adam cover the inadequacies of his, a tree even Shiva would stand back from in awe. A constellation? No, a rogue star, a renegade sun, the very face of awe, and if there are true names for divinity, then that too. As Selah watched the cloud mushroom up, she wondered if the babies in her womb were lit by the incandescence before her. Had they beheld all this glory? And what would it shape in them when they were born? A penetrating insight into mystery? A desire for a life untinged by the fear of death? Or eyes that see only constellations? Only truth? It was the hornbill that spoke it. begetting nothing; this is everything. How does the darkness hide? The sun is no bigger than a crab. Hot soup is devoured from the edges. The blood sign is red; burning like fire. It has no name; silence is its name. The world is old, the world is new.